Barbara Smith Davis, went home to the Lord on Friday November 17 while residing at the Maple Farm Nursing Home in Akron, PA. She is now with her late husband George W. Davis III, son Bryan Scott Davis and her grandson Michael Bryan Davis who passed before her. Originally from Bryn Athyn, Barbara lived in Lancaster and taught Physical Education at Manheim Township High School for over twenty-five years. Through her work, she positively influenced and helped guide many young lives. 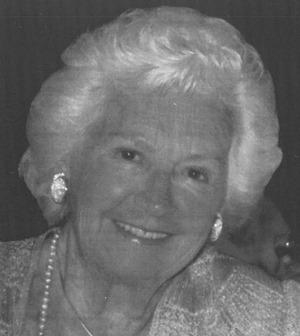 As an avid golfer, swimmer and contract bridge player, she enjoyed her memberships at the Lancaster County Club and Hamilton Club and developed many long-lasting friendships. Living her life as a nature lover, she always preferred to be outdoors enjoying the day most often with her dog. She will be remembered best by her love and acceptance of all who she met and her willingness to always want to help make people’s lives better. Barbara is survived by her son George W. Davis IV, daughters in law Jessica Siergiej Davis and Laura May Davis, her grandchildren Mary Katharine Sands, Barbara Hope Davis, Benjamin Bryan Davis, Samantha Marie Davis and George W. Davis V along with 7 great grandchildren. In memory of Barb Davis, please send a contribution to the Humane League of Lancaster, 2195 Lincoln Hwy East, Lancaster, PA. 17602. I will always remember Barbara’s quiet yet sincere greeting and kind words. She was always so pleasant. Wally, I just saw the notice for your mom…I am so sorry to hear of the loss of your mom, especially so close to the passing of Bryan. I know this cannot be an easy time for your family. Your mom was such a source of encouragement to me during the time Bryan and I knew each other. ..I will be praying for you. Wally, your mother was a wonderful inspiration to me at MTHS class of 1966. I loved her as my physical ed teacher and track coach. She was helpful, inspiring and kind. I also knew your family from my days at the Lancaster Country Club.